Travelers, adventurers and athletes on all continents use SOURCE Hydration & Sandals to follow their passion in the outdoors. We keep discovering most interesting projects and characters on Instagram that tag their pictures with @source_outdoor or one of ‘our’ Hashtags like #sourcepack #sourcesandals #widepac #sourcehydration. 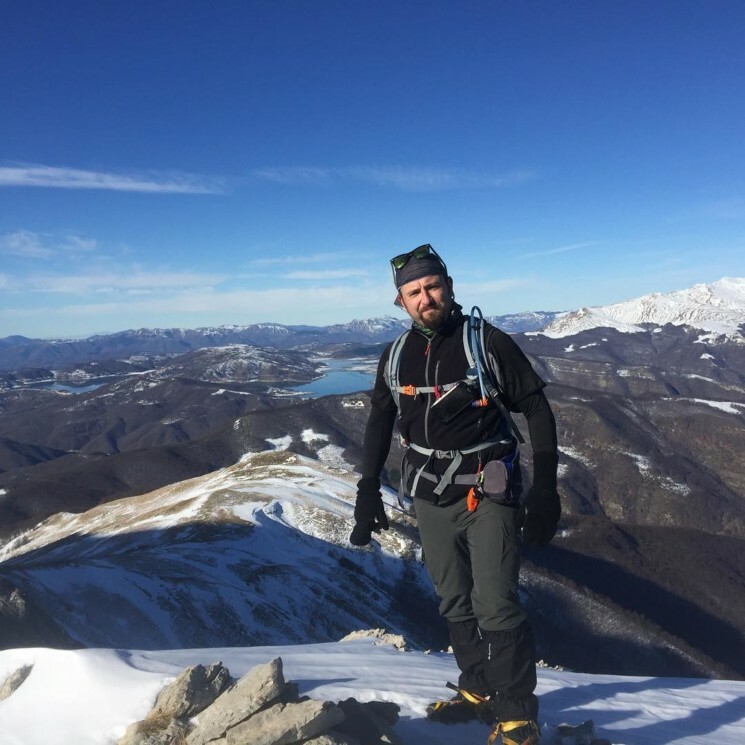 Recently we got curious about a profile on Instagram, an Italian hiker with over 12,000 followers that kept posting pictures of himself on solitary peaks and mountain ranges – with a SOURCE Hydration System obviously. We found out it’s all peaks in the Apennine Mountains, ridges stretching 1,200km (750 miles) from northern to southern Italy … We got in touch with him. Daniele @danysky_g thank you for tagging @source_outdoor in your pictures, they’re quite special – what are the pictures about? 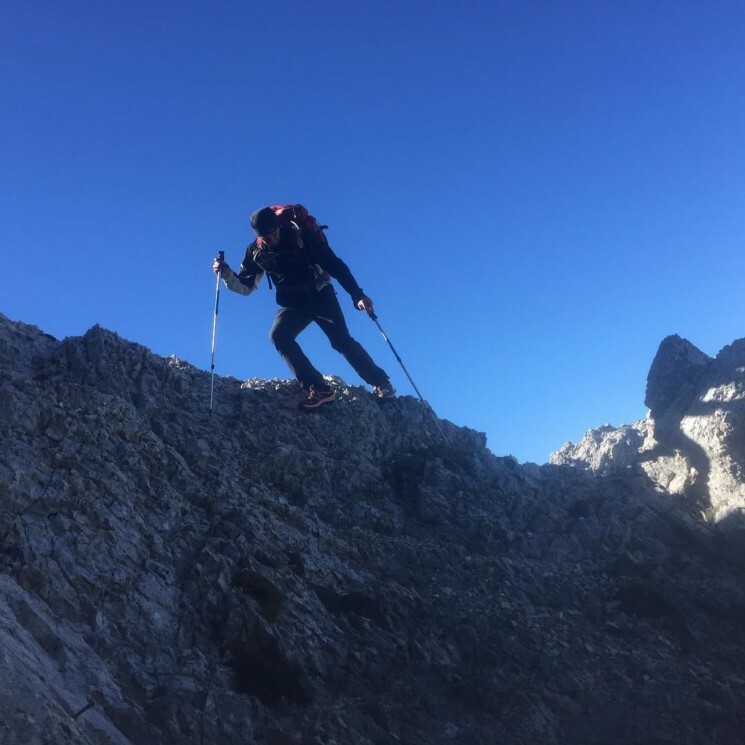 I’m on a mission: The idea is to collect the peaks of all the 261 over 2000m (6,500 ft) moutains of the Italian Appennine divided in the following group: Gran Sasso, Maiella, Laga, Sibillini, Velino-Sirente, Pnalm, Reatini, Pollino, Tosco Emiliano, Ernici, Cantari, Matese. Wow. 261 peaks!? How did you come up with this idea? I live near the sea, with no cliffs or elevation around, and I had always been attracted by the mountains I see from home on the horizon. So i started to hike, following first the typical paths on the maps. Usually these paths lead directly to an important waypoint or peak, ignoring many surrounding and not famous peaks. I decided to give importance even to these mountains that usually are not destinations of excursions. Red Markers: Peaks hiked. White Markers: Challenges to be met. 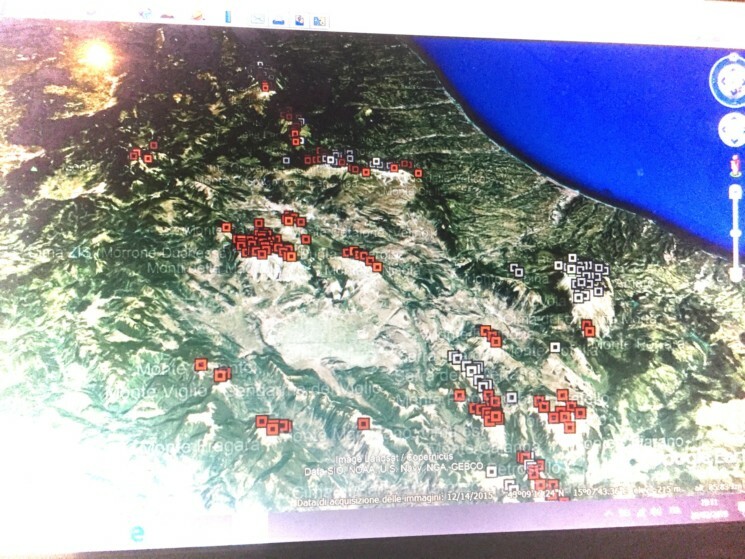 Is this a thing in Italy like the PCT or other hiking-projects? Do you know of anyone else who has done it in the past or is doing it? During my treks I’ve actually met some people who had similar ideas … in fact i was helped by them to get the list of the peaks with precise geographical coordinates. The biggest difficulty is to find the way to reach these peaks, because often they are outside the common trails on maps. So I study the maps, and the topography and try to draw a track to follow with my GPS. Sometimes this turns out more difficult than others. Do you do it all alone? I have a group of friends who sometimes tag along. Is this a project for life? Or how long does it take you to get it done, all the 261 peaks? Considering I get to do it 1-3 times per month, and considering i have already reached 156 peaks… I suppose I’ll collect the the remaining 105 peaks in 3-4 years. The longest chain of peaks I have done is 12 peaks in one day – but it depends on the difficulty of the path. usually a trek may last 8-12 hours depending on season (20-30km distance ; 1500 – 3000m elevation). Especially in summer, hydration is a fundamental aspect. What will you do once you’ve achieved your goal? Any ideas for a next project? Sounds like you won’t get bored sitting around at home! Good luck first of all with the peaks, we’ll be following your adventures!